This aluminum ship 8.8 m long and 3.1 m wide is for diving clubs or can be used as a passenger’s vessel. 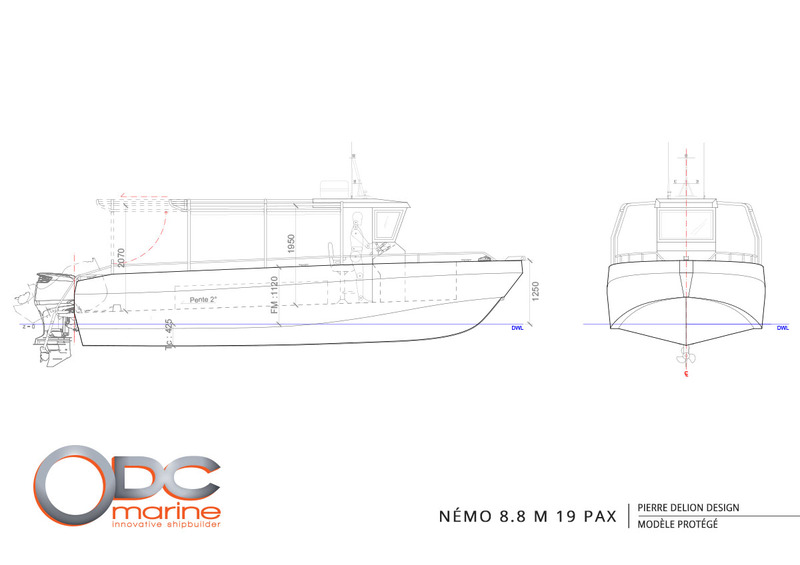 She is designed to French standards, can be used as CE or NUC in maritime or in closed waters. 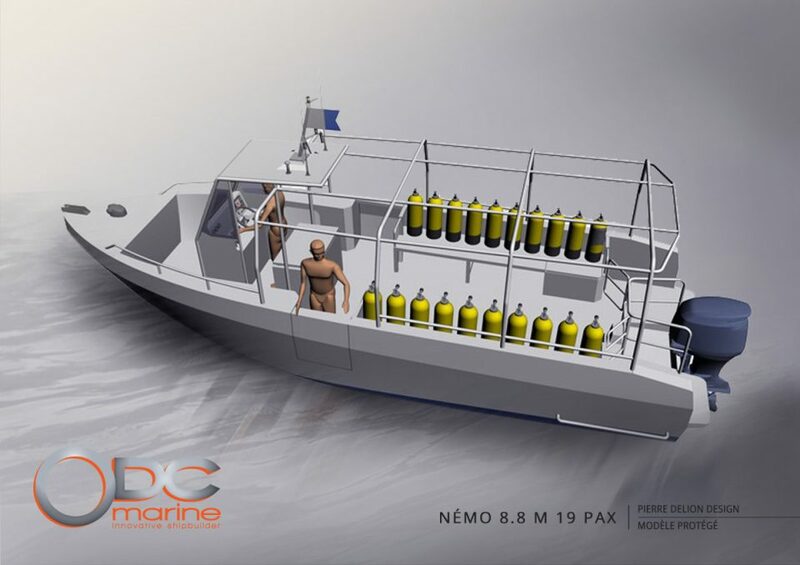 Her CE capacity is 18 divers plus the pilot, it should be limited to 12 passengers as NUC for passenger boat by French approvals. 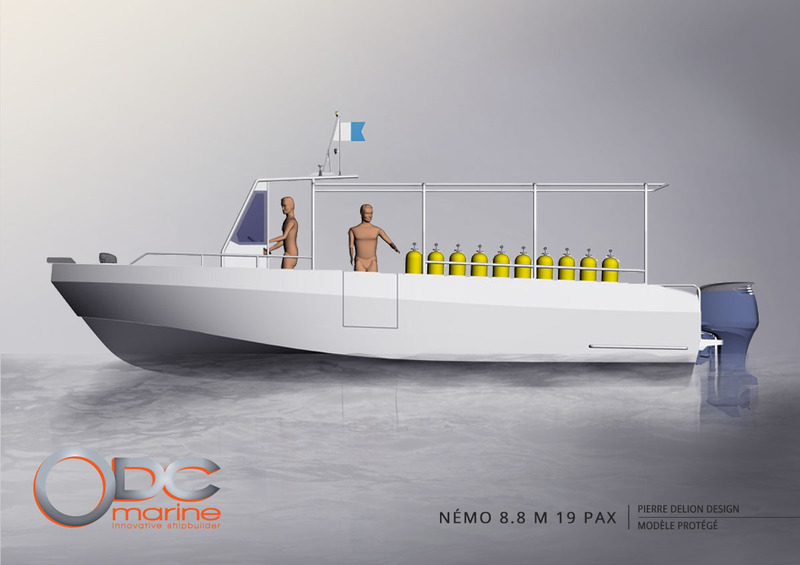 As part of the Nemo range designed by the Pierre DELION agency, this boat benefits from all the experience and expertise of the architect on this type of program. Her layout is rational and efficient, her deck offers comfortable seating, good access to bottles and circulation spaces. A T-Top is offered as standard for rain or sun protection. A particular attention was given to water access of divers that can be done by parrot scales located on the back platform or at the two sided gates. She is available with gasoline outboard or diesel Inboard in Z-Drive.